Everyone tends to get nuisance VoIP (Voice over Internet Protocol) calls on their phones which tends to waste our time and annoy us. It may be a useless call for sale promotions, or it might be a call from a person that you might want to avoid at all costs, it may be some wrong number who never seems to get the hint or it might be a call from someone who keeps harassing you. However, you have an option to block these annoying and nuisance calls. Just follow the simple tips given below to block incoming VoIP calls. Locate the number: In order to block a contact, you must locate it in your call log. You will find it in your “received calls” or most probably in your “missed calls” since you have been avoiding them. Select the number: After you find the contact in your call log, you must select it. Make sure, that you do not accidentally call them. Save the Contact in your phone: The next thing you must do is, save the number into your phone’s directory or your contact list. You can do this by selecting the number and pressing it until a pop up comes. That pop up will contain a list of commands. You have to find the command that says, “Add to Contacts”. Once, you find it, you must click it. By clicking that command, you will be directed to a contact form. The number will be already written in the form. All you have to do is add a random name to that contact and save it. Then simply exit out of the contact list by clicking your home button. Call blocking devices or gadget: You can block incoming VoIP calls through various call blocking devices or gadgets. You can purchase this hardware to block incoming VoIP calls. A few examples of such hardware, devices, or gadgets are CPR Call Blocker V202, Digi tone Call Blocker Plus, and Pro Call Blocker Version 2.2. They will load your contacts from which you can choose the contact you wish to block. As a result, whenever one of these blocked numbers will call your phone, the calls will be disconnected automatically right away. NoMoRobo.com: This call blocking features uses a caller black list to block certain callers who are nothing but spam and nuisance. If you are a non-business user then you can download this call blocking feature completely free of charge. You can download it from their official website called NoMoRobo.com. All you have to do is, download the software on your phone and add the contact that you wish to block, into the black list. Then when a call comes from that black listed contact, your phone will automatically decline the call after just one ring. Auto Reject List: You can also use the auto reject list option to block these unwanted incoming VoIP calls. 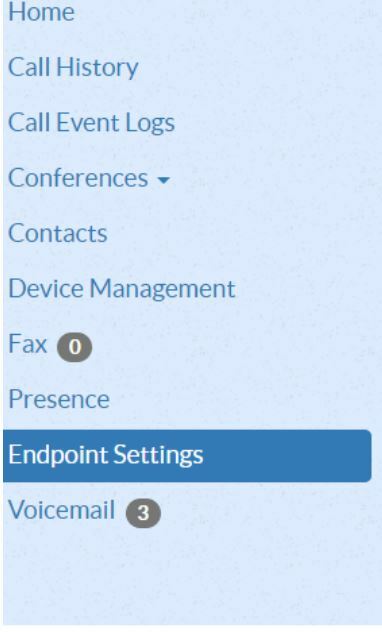 You can do this by enabling this feature by using a certain subscription code provided by your VoIP provider. When you enable this feature, you will be able to add those unwanted numbers into a black list or a reject list. If any number belonging to that reject list calls you, then they will receive a message which will state that their call cannot be connected at this certain time. In addition, an even simpler method, is on most phones there is a Do Not Disturb option on the telephone unit itself.